What kinda tunes do ya play? 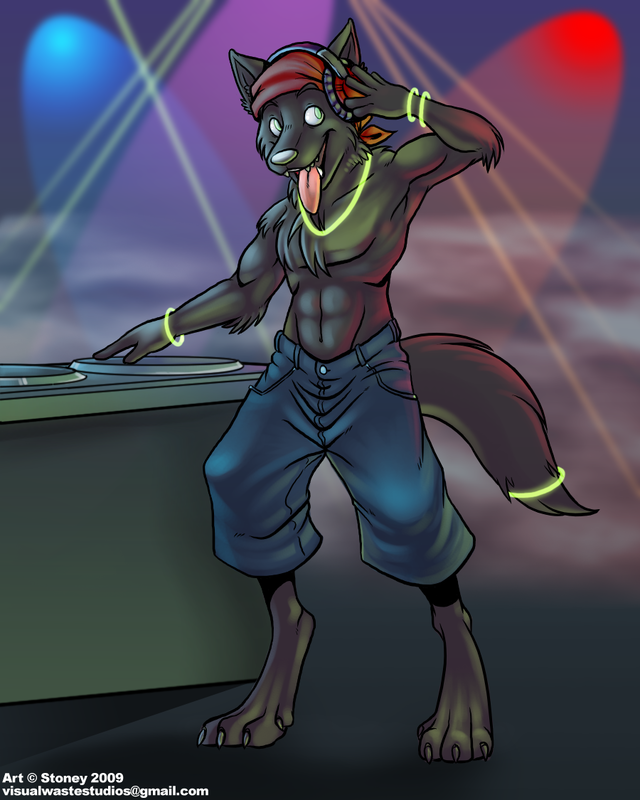 Cool picture ^^ You seems to have a lot of fun mixing :3 What kinda tunes do ya play? Murr, dat tongue! I don't recall any other artist showing Allan panting before. How... canine! Wooooooooooooow quite amazing work !! I love how cute you look, I want to be riding shotgun in your pocket!